Rose Susanne Rivard was born on 27 April 1873 in Greiner, Detroit, MI to Leander and Mary Ann (Fournier) Rivard. Her gr-gr-grandfather, Jean-Baptiste Rivard, had settled on land adjoining Pierre Tremblay's in Fox Creek/Grosse Pointe in 1762. Rivard Street, in Detroit, is named after Jean Baptiste Rivard. 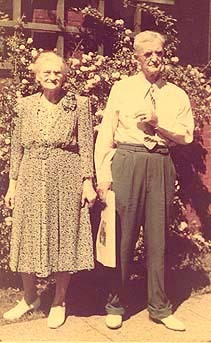 Pierre was the gr-gr-gr-grandfather of Rose's husband, Alfred. 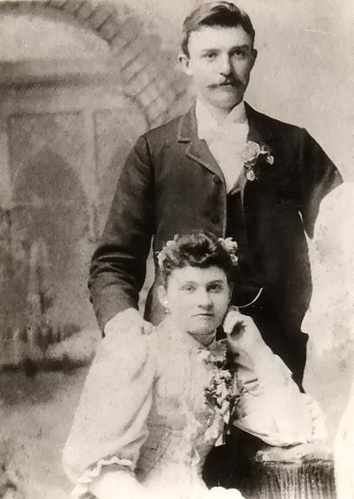 She married Alfred Columbus Trombly, son of January Trombly and Elisabeth Baumgartner, on 24 April 1894 in Detroit, Wayne, MI. They were the parents of 12 children. 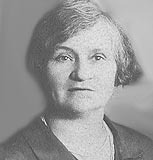 She and Alfred Columbus Trombly were among the original members of St. David's Catholic Church in Detroit. When she was a member of Assumption Grotto parish, Rose was among the many well known talented quilters who donated their work for the church bazaars. Lidwina Schulte, who lived by Assumption Grotto Church and not far from the Trombly home as a young girl, fondly recalled Mr. and Mrs. Trombly as very nice people. A delicate rose colored Venetian glass vase from her travels was passed down to her oldest daughter, Sadie, and then to grand-daughter, Rosemarie. Every New Year's day Rose would prepare a feast that included her famous meat pie which her large extended family enjoyed. At one time Rose and Alfred resided on Marley St. in Detroit and later at 11815 Gratiot near Glenfield. She died on 8 July 1943 Detroit, MI, at age 70. She was buried on 10 July 1943 in Mt. Olivet Cemetery in Detroit.